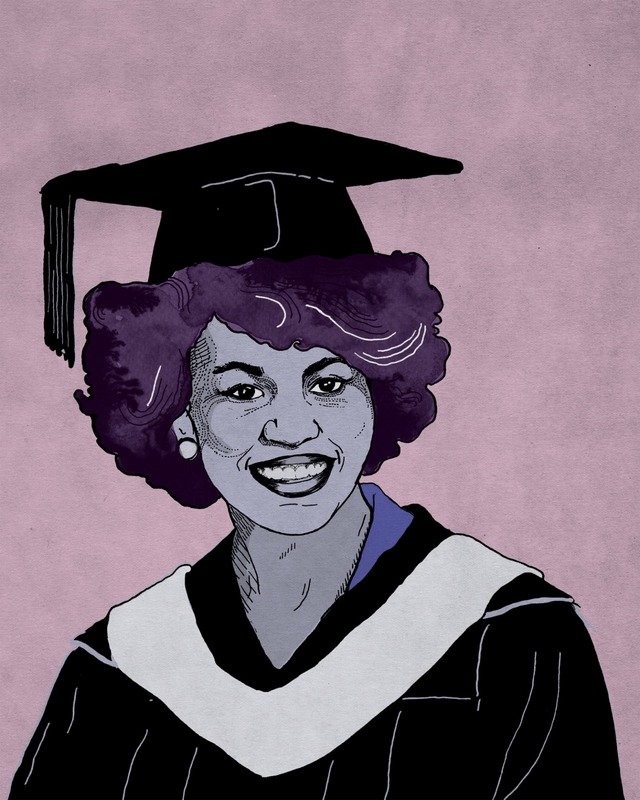 For The FADER’s upcoming America Issue, the First Lady of the United States argues why higher education is the most major key. As you check out The FADER, reading the stories and looking at photographs of the latest trendsetters, you might be inspired to dream about a career in music or entertainment yourself. And as you learn about people who’ve been successful in these industries, you might notice that many of them didn’t finish — or even attend — college. That might lead you to think that you too can skip higher education and go straight to career success. But chances are, that’s simply not true. Yes, once in a while, a uniquely talented — and lucky — person catches their big break without finishing their education. But they’re the exception. Here’s the rule: going to college is your best path to a big break — as a musician or in any other career you might want to pursue. Whether you attend a four-year college, a community college, or a professional training program, getting a higher education degree is the key to building a successful career. That’s because in today’s economy, a high school diploma just doesn’t cut it anymore. In fact, studies show that compared to folks who only finish high school, people who graduate from college have an easier time finding a job and earn about $1 million more on average over their lifetimes. And I know from my own life experience that higher education can lead you to opportunities you can’t even begin to imagine for yourself right now. Neither of my parents attended college, and my family didn’t have much money, so I knew there was no way they could afford a college tuition. But I also knew that college was the single most important investment I could make in my future. So I worked as hard as I could to get good grades, sent in my applications, and got accepted to Princeton University. I applied for as much financial aid as I could. That assistance allowed me to get my degree — and that degree changed my life. It allowed me to go on to law school (which I paid for with more financial aid) and become a lawyer. And with that education, I was able to do so many jobs that I loved — working in the Mayor’s Office in Chicago, running a non-profit organization called Public Allies to help young people in underserved communities, being an Associate Dean at the University of Chicago. This all happened because I got into college and filled out my financial aid forms. So can you. Here’s how. First, you need to commit. Just decide, right now, that you’re going to continue your education past high school, and don’t let anything stand in your way. Maybe you have friends who don’t share your ambitions and will try to distract you from your goals. Maybe you face challenges in your family. Whatever it is, don’t let it discourage you from reaching for your dreams. Next, get on track in the college application process by connecting with my Better Make Room campaign and their tool called Up Next that can give you the extra push you need. Just text “College” to 44044 to sign up, and the folks at Better Make Room will send college tips and reminders right to your phone. They’ll let you know when it’s time to register for the SATs and ACTs and remind you about important application deadlines. And when you do get to college they’ll help you stay focused and motivated. I know from my own life experience that higher education can lead you to opportunities you can’t even begin to imagine for yourself right now. Most important of all, go to FAFSA.gov and fill out your free application for federal student aid (or FAFSA). That’s the one-stop shop to access your share of the $150 billion that the federal government provides in college loans for students across America every year. We’ve made it easier than ever before to fill out your FAFSA form. We’ve posted it online early — starting on October 1. We’ve designed an easy to use College Scorecard to help you figure out where to apply, what it will cost, and how much each school’s alumni typically earn. We’ve increased the amount of money you can receive. And the FAFSA now only takes about 20 minutes to complete and re-file each year. But you can’t get a single penny if you don’t complete it. And you’d be amazed at how many young people never do: over two million students who could be getting financial aid — more than $5,800 in Pell grants, for example — never complete their FAFSA. Millions more probably never even considered attending college because they just assumed it was too expensive. And even those who do fill out their form often only apply to one school — and when they don’t get in, they don’t have any other options. Don’t make those same mistakes. Getting financial aid and going to college opened a lifetime’s worth of doors for me, my husband, and millions of people just like us all across the country. That’s why we care so much about ensuring that you take the same journey, and we will be helping you and rooting for you every step of the way. But it’s up to you to make the first move. So take a few minutes and sign up to receive Up Next texts and fill out your FAFSA. Then go on and complete your education so you can chase after every last one of your dreams and ambitions and make us — and more importantly, yourself — proud.